Grew up… without much supervision from his real mother and father. Hyde’s difficult childhood has made him tough and self-reliant, though he’s always grateful for the generosity of his best friend’s family, the Formans, who act as his de-facto parents. Profession… high school student and clerk at the local Foto Hut. Despite Hyde’s nonchalant and masculine persona, he believes in the value of hard work, sometimes telling off his boss for not doing his job. Interests… “Camaros, Zeppelin and French fries—in that order.” Hyde’s interests reflect his masculine persona. His list of likes also includes the Green Bay Packers, cars in general, and hunting. Challenge… learning to take care of himself as a responsible adult. Hyde faced many hardships in childhood and never had parents, or at least not good parents, around to support him. He’s had to grow up quickly. That’s why the care he receives from the Forman family and from his friends is so important to him. Personality… dry, witty, and tough. Hyde is a lone wolf of sorts. He’s learned to keep his emotions under control (though the copious amount of weed he smokes helps with that a bit), which is why his friends often come to him for no-nonsense advice. Steven Hyde's popularity ranking on CharacTour is #1083 out of 5,000+ characters. See our top-ranked characters and read their profiles. 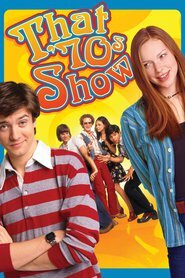 That '70s Show is an American television period sitcom that originally aired on Fox from August 23, 1998, to May 18, 2006. The series focused on the lives of a group of teenage friends living in the fictional suburban town of Point Place, Wisconsin, from May 17, 1976, to December 31, 1979. The main teenage cast members were Topher Grace, Mila Kunis, Ashton Kutcher, Danny Masterson, Laura Prepon, and Wilmer Valderrama. The main adult cast members were Debra Jo Rupp, Kurtwood Smith, Don Stark and, during the first three seasons, Tanya Roberts.